Let’s all break Google, the new EU h(l)obby! I like the Google search service. I like it because it is the best at what it does. It is a fact that Google’s dominant position in the EU market is not due to the lack of competitors or due to a weaker competition. There are other big companies which provide the same sort of services. Microsoft Bing, Yahoo, Duck Duck Go… But they just don’t do it as well. Google’s dominance comes from a vast majority of EU citizens preferring its services over those provided by its competitors. It hasn’t grown into a verb by mere chance. This is what competition on the merits is all about. Theoretically, there is nothing wrong with dominance legitimately acquired. What about in practice? 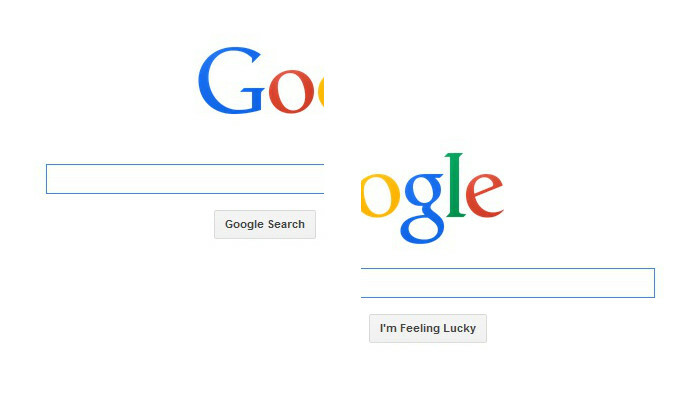 In practice, Google has been having full-size antitrust problems regarding how it manages the search results presented. It has been alleged that those are manipulated in order to promote the company’s own services at its competitors’ expense and to be favourable to certain business in which it has interest while being detrimental to others. The decline of once very influential publishing industries under the impact of the internet has most certainly contributed to the problem. It is a fact that Google crosses the results from its search algorithms with links to its own related web services, such as Youtube, Maps, News, which expands the format of search results beyond a meagre index of links. From the user’s viewpoint, this is a good thing. From its competitors’ perspective, not so much. 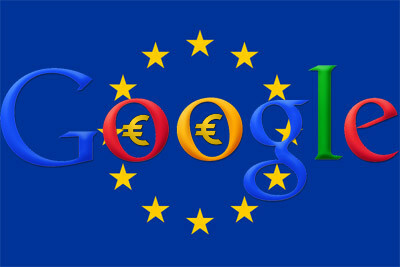 While Google is obviously dominant, it is yet to be confirmed if it actually abuses its position in the EU market. Nevertheless, legitimate fears that this self-promotion may be harmful to users is increasingly prevailing among the EU regulators, to which the weight of certain points of interests might not have been completely irrelevant. In this context, the European Parliament just voted a resolution on “consumer rights in the digital single market”, proposed by the European People’s Party (EPP) and the Social and Democrats (S&D), the two biggest political blocs of the European Parliament. If I would be remotely naïve, I would consider that it is certainly a coincidence that Andreas Schwab, one of the MEP who proposed the resolution, is tied to the law firm which represents some of the German publishers against Google… Or that the fact that the two MEPs who proposed the resolution are national citizens from Germany and Spain, precisely the countries where legislative initiatives have recently been taken in order to make Google pay for links, is not more than a happenstance. Anyway, in the paragraph 15 of the resolution, despite being outlined the relevance of search engines for the functioning of a competitive digital single market, the European Commission is called upon to apply existing legislation and to consider if ‘unbundling’ the search engines operations of Internet technologies companies with activities in the EU from the rest of their commercial business services may boost competition in the EU market. In a less politically correct way to put it, companies which promote their own non-search services through their search engine should have those services disaggregated. To what end? Well, what would be achieved through this action is not clear. It is, however, evocative of previous statements of German politicians who considered that Google’s dominant position should be broken. In the same line, several of the complainants against Google – once again, inadvertently, mostly German publishers – called for this separation. As far as I am aware, the European Commission has never requested the break-up of any company for anti-competitive practices. In fact, structural remedies as such should only be imposed if there is no equally effective solution, if this latter is more burdensome, or there is a risk for repeated infringement. Nonetheless, in this case, it seems very unlikely that it can be considered that Google’s competitors actually need Google’s infrastructure in order to be able to provide their own services. Anyway, for Google to actually be ‘broken up’, it would have to be demonstrated that it has abused its dominance in the search or advertising markets. Needless to say, the separation of its search engine operations from its other lines of business would be seriously harmful for Google. As it is well known, Google supplements the results from its search algorithms with advertising which is its primary source of income. In case of separation, its value would certainly drop, its databases would be less complete and its search engine service would end up being less effective. Ironically, the measure would be quite disadvantageous to users of the search service. when operating search engines for users, the search process and results should be unbiased in order to keep internet searches non-discriminatory, to ensure more competition and choice for users and consumers and to maintain the diversity of sources of information; notes, therefore, that indexation, evaluation, presentation and ranking by search engines must be unbiased and transparent. It appears that the underlying principle is that, considering that consumers do prefer its search services over those provided by its competitors, consumers shouldn’t have to use a search provider’s bundle service just because that company actually promotes its other own services. One should ask, though, if it is reasonable to demand from a search engine service provider to not reflect on the search results presented any prominence of its own services and to self-marketing? 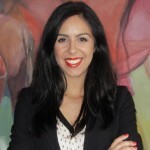 Furthermore, while one could believe that there are some good intentions behind this ‘search neutrality’ goal, it seems that the intention is for providers to reveal their algorithm and how the results are determined, in order to ensure that the process is fairly conduct and is not unfavourable to its competitors. Nevertheless, the ‘search neutrality’ concept is just ludicrous. Search is inherently biased according to the criteria set. That is how search is supposed to be. It should return the most completed version of the results we ask to find and not results manipulated by the strongest website owner. Coincidently, it reminds of the comical German ‘ancillary copyright’ which was intended to license revenue from Google for indexing publishers content and of Günther Oettinger own stance on the issue. So one should really worry if this is just not the first step for a European ancillary copyright for press publishers. To be true, the document does not mention Google or any specific search engine. However, it is very likely to be particularly directed to Google as the company has a European market share of over 90%. Despite its non-binding nature, the fact that the European Parliament has no initiate legislative powers and certainly has no competence regarding the unbundling of companies, the resolution shows that the European Parliament is getting involved in a matter that falls within the jurisdiction of the Commission, considering the ongoing proceedings aiming to address the competition concerns on the market of internet search engines. Anyway, it is certainly intended to put pressure on Margrethe Vestager, the new EU Competition Commissioner, considering that Joaquin Almunia, its predecessor, was unable to reach a satisfactory settlement regarding the complaints and the allegations concerning its market power. In this regard, Joaquin Almunia considered that Google could not be broken up under existing competition legislation. Until now, Margrethe Vestager is being cautious regarding the next steps to be taken. Thus said, I guess this is just the beginning of this saga… But, considering all this, I cannot help being pessimist. I am quite worried regarding what may follow.